We live in Canada, so we know that each year we must prepare for winter. The temperatures have started to change which means it is time to get your vehicle ready for winter. 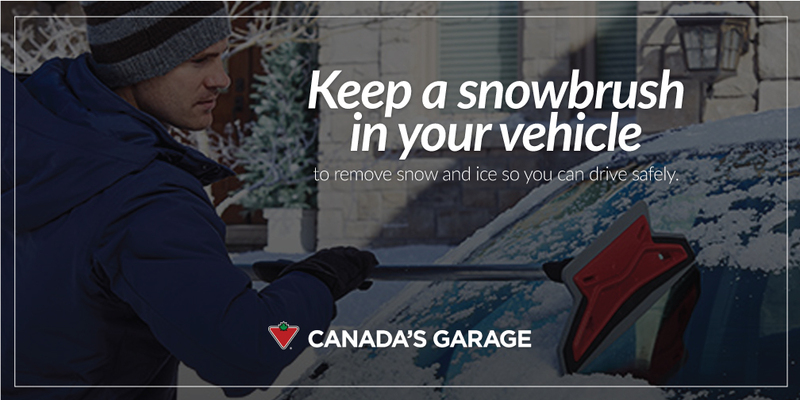 Have your car serviced in advance, so winter weather doesn’t slow down your busy family. It is really important for you to be able to see clearly during the winter weather. Be sure to have a snow brush in your vehicle, install winter wiper blades and check your windshield washer fluid levels. Make sure your Show Brush is in your vehicle. Don’t get stuck without a snow brush on that first snow fall. Also we sure to clear ice and snow before using your wiper blades, or you could scratch and tear the rubber element leading to streaks, smears, and chatter. If you need a new snow brush, click here to check out some options available. 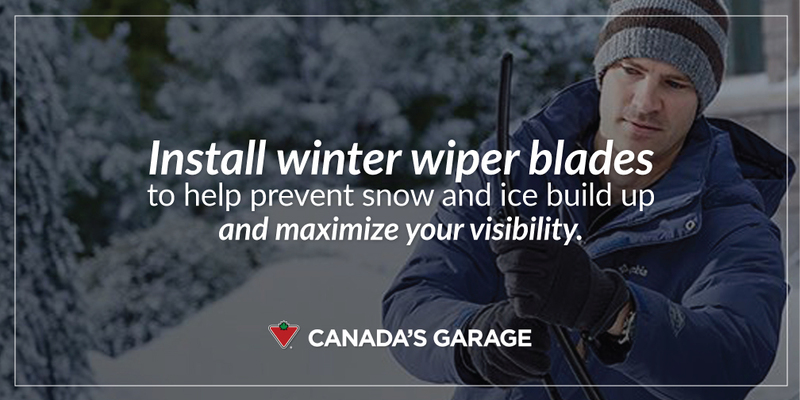 Install winter wiper blades help prevent snow and ice build up and offer ultimate performance in extreme weather. Changing your wiper blades is easier than you think! Click here to see how simple it really is. Windshield Washer Fluid removes ice, frost and bug splatter, and cleans away salt and grime. 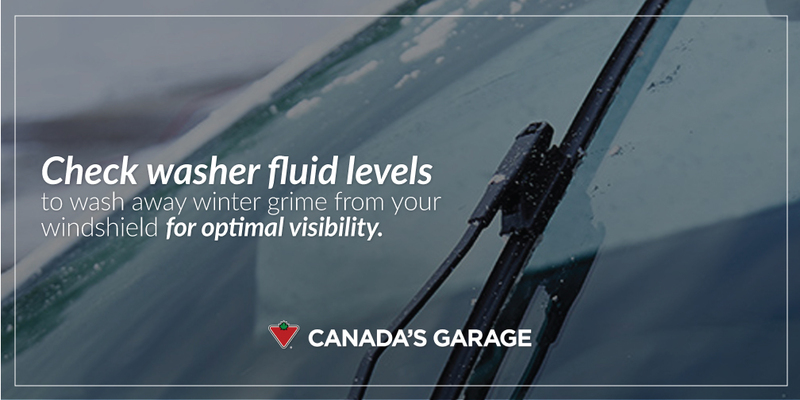 It also helps reduce re-freezing on windshield for better visibility. Look for washer fluid with an advanced formula provides water beading action and creates a water repellent finish. Click here to see the many options available. Also, it’s extremely important to make sure you have a safety kit, such as this Winter Safety Kit from Canadian Tire. 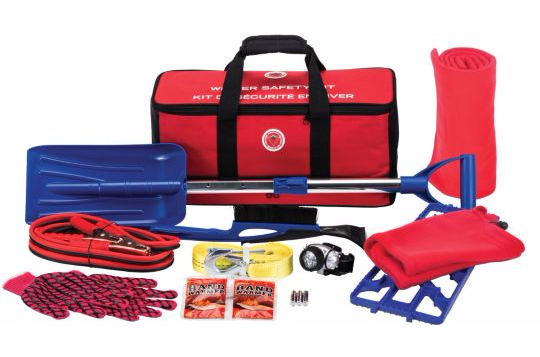 This kit contains all the essentials such as a tow strap, shovel, traction aid, booster cables, and headlamp. A fleece blanket, hat, gloves, and hand warmers will keep you warm. It also comes with one year free roadside assistance. WIN A WINTER SAFETY KIT! Hey Buddy!, I found this information for you: "Be sure to Maximize your Visibility When You Drive This Winter". Here is the website link: http://shesinfluential.com/2016/12/18/winter-is-here-make-sure-your-car-is-winter-ready/. Thank you.